In the Third Extraordinary General Assembly of Bishops in October 2014, the synod fathers will thoroughly examine and analyze the information, testimonies and recommendations received from the particular Churches in order to respond to the new challenges of the family. 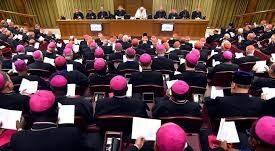 When collecting the responses from the Bishops to the questions in the Preparatory Document, the General Secretariat of the Synod of Bishops also received responses from movements, groups, and ecclesial associations (categorized as observations). The manuscript herein is a response from a group focusing on pastoral care provided to couples in crises situations, separated spouses, and those who are divorced. Bishops were asked how the teaching on the family contained in the Church’s Magisterium is diffused, particularly documents in the post-conciliar Magisterium; what pastoral care is provided to couples in crisis situations; and how the Church deals with separated spouses, or those who are divorced and remarried. From a layperson’s point of view, there is a notable difference between the pastoral care described in the Catechism and the Canon Law, in contrast to the prevalent pastoral practice in the United States. Simply put, many of the faithful believe that divorce is a morally neutral occurrence, and many diocesan staff personnel seem to agree—separation of spouses, the break-up of marriages, and divorce are things that just happen. There are a number of diocesan and parish resources soliciting annulment petitions from those who are divorced after their marriages break-up. However, there is virtually no education about the morally legitimate reasons for separation of spouses. Nothing is taught about the parameters of a separation plan that would be in accord with divine law. Chanceries appear to have no system to assist bishops in weighing the special circumstances of a marriage before a spouse files for divorce or separation in the civil forum. This weighing of circumstances is required by canon law as described herein. Numerous faithful do not know or do not care that forcing divorce—outside of specifically limited circumstances—is immoral, contravenes the moral law, and is a grave offense against the natural law. 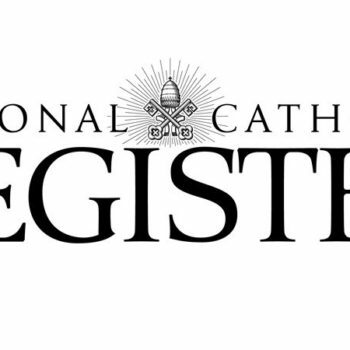 The Preparatory Document for the upcoming synod also asked bishops whether a simplification of the canonical practice in recognizing a declaration of the nullity of a marriage would provide a positive contribution to solving the problems of the persons involved. The perspective in this manuscript is that there is no need in the United States to simplify the process as it is currently defined in Canon Law and Dignitas Connubii, but what is needed is to actually follow that process. If tribunals want to grant annulments based on the grave lack of discretion of judgment of the Petitioner, they should require the Petitioner to allege that he or she suffered from a grave psychic anomaly or mental illness at the time of the marriage, making it impossible for the Petitioner to understand and exercise his or her will. This would reduce the number of petitions and the tribunals’ workload. But that is not always the practice. Instead, Petitioners are made to answer lengthy questionnaires and tribunals apparently process cases in which neither the Petitioner nor the Respondent know which particular facts, in a general way, are being proposed to prove nullity of the marriage. If tribunals want to grant annulments based on the grounds that one party simulated their vows when promising permanence, faithfulness, or openness to children, the bishop could suggest that the couples file in the civil forum for a civil annulment based on a fraudulent civil marriage contract. At least in that way, an innocent husband might be saved from paying spousal support or giving half his property to a woman who tricked him into a fraudulent marriage. For those who withdraw from marriage for no morally legitimate reason, if bishops would authoritatively instruct them of their obligation to restore common conjugal life, then a number of families could be saved from no-fault divorce. The person deserting the marriage could choose to work with those experienced in helping marriages, rather than hiring divorce lawyers. 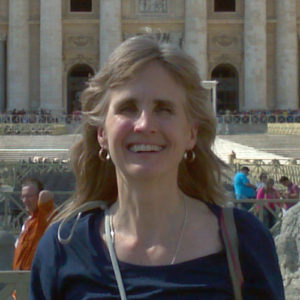 For Catholics who enter adulterous relationships, or for those who have dangerous temper outbursts, if bishops would instruct them about the parameters of a separation plan that is not contrary to divine law, then innocent spouses and children could possibly be saved from unjust decrees in the no-fault divorce civil forum. Recognizably, all marital abandoners will not obey authoritative instructions from the Church, but at least scandal could be prevented. A diocesan hands-off policy with respect to separation and divorce gives scandal to everyone because everyone understandably concludes that there is nothing wrong with leaving one’s spouse. In the United States, no-fault divorce practitioners separate families whenever one spouse files for divorce or separation regardless of whether or not separating would be contrary to divine law. After one spouse files in the civil forum against another spouse who has committed no misdeeds meriting separation of spouses, the one who has done nothing bad to justify separation and does not want a separation, routinely has many simple freedoms violated. Stephen Baskerville, author of “Taken Into Custody: The War Against Fathers, Marriage, and the Family,” listed some of these violation against freedom when he spoke at the World Congress of Families in Amsterdam in 2009 ([Baskerville pp 48-49] See “World Congress of Families 2009, Stephen Baskerville” on page 76). Parents are ordered out of their homes (“divorce”); Parents are told they may not see their children, on pain of arrest and incarceration (“child custody”); Children are summarily removed from their parents, with no evidence of wrongdoing (“child abuse”); Parents find their property, including their homes, are summarily confiscated (“division of property”); Parents are summarily ordered to pay huge sums to officials they have not hired for services they have neither received nor sought, on pain of incarceration (“reasonable attorneys’ fees”); Parents are summarily ordered to pay staggering sums to which they never agreed, assigned “debts” they did nothing to incur, and their wages are confiscated, all on pain of incarceration (“child support”). In a case decided by the Signatura in 1987, they summarized some key components of the denial of right of defense (See “Apostolic Signatura. The Denial of the Right of Legitimate Defense 1987” on page 80). A number of U.S. tribunals’ policies are problematic.